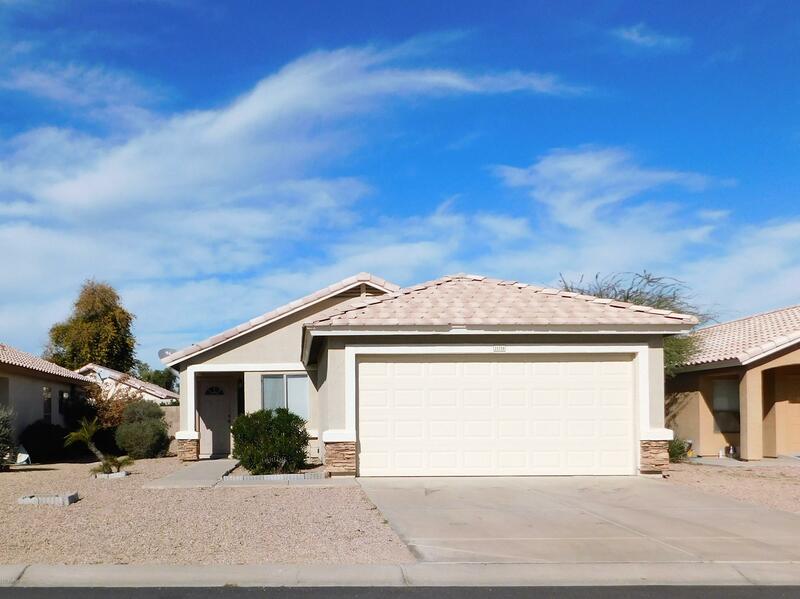 Wonderful 3 Bedroom 2 Bath home in Mountain Vista Ranch!! This home has beautiful new tile in the eat-in kitchen, and new wood laminate flooring in the living room and hall. The home has upgraded elevation with Stacked Stone Accents. North/South Exposure. Easy to maintain Desert Landscaping in the Front and Back yards. Close to School's, Shopping, Surprise Stadium and Dining.